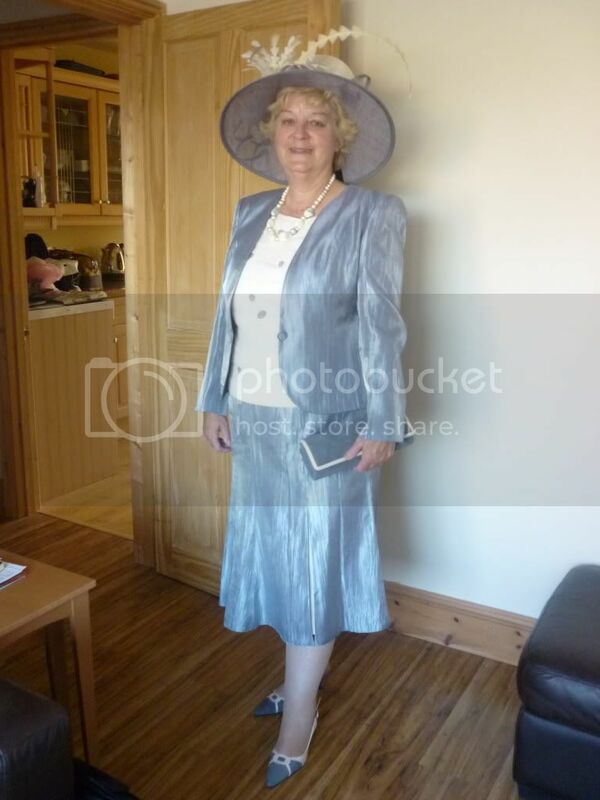 Just wanted to share how proud I am of my mum, who is losing weight with Slimming World, and has found new confidence, along with her outfit for my wedding in November. She wasn't planning to go shopping just yet, but we were have a browse to kill time before a hospital appointment, as stumbled across an outfit we both loved. They didn't have her size in store but with a bit of ringing round and internet hunting we have got the complete outfit. Well done mum, keep up the good work!! Great outfit and really suits your mum - looks great and very glam. Well done your mum! Ahh, your mum looks lovely and you've every right to be proud of here. Well done to you too, for being a lovely daughter. I'm sure she's equally as proud of you! She looks great! Love that colour on her too. Cheers all for your lovely words. She doesn't know I've posted this so when I see her tomorrow I'll show her! She hasn't worked out the internet yet (bless!) but when we talk about the wedding she always asks whats going on in this forum!! I've got her completely hooked on "four weddings" too!